LEGENDARY musician, Oliver "Tuku" Mtukudzi, who last week reportedly suffered a heart attack which saw him miss the London Jazz Festival, is now recovering at his home in Norton. Speaking to Chronicle Showbiz yesterday, his manager Walter Wanyanya disputed reports that Tuku had suffered a heart attack saying it was his doctor who had requested him not to travel. "Tuku did not have a heart attack per se. Remember he's diabetic so when he was about to travel, he visited his doctor who said it would not be good for him to travel as he needed to observe him," explained Wanyanya. "We realised that going against the doctor's request would be tricky hence the cancellation of the London and Uganda trips." As a result Tuku, who has been travelling a lot of late, was in hospital for some time but has since been discharged and deemed fit to travel. "Tuku is now at home and is recovering well. He has been cleared to travel and will actually be in Durban next week," said Wanyanya. 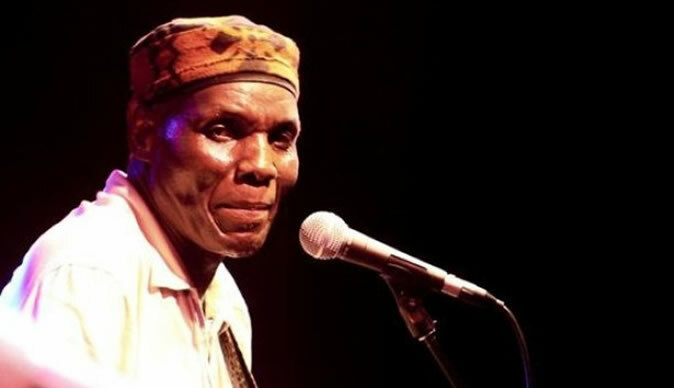 Tuku had been scheduled to take part in a segment of the London festival titled, "The Boy's Doin' It". The gig featured the likes of Sibongile Khumalo, Selema Masekela and Masekela's old touring band. Wanyanya said they were now working on Tuku's itinerary for the festive season which will see him perform locally and outside the country. "The festive season is a time for Tuku to be merry with his fans so we're in the process of finalising his events. Once finalised, we'll share the dates and venues with fans."